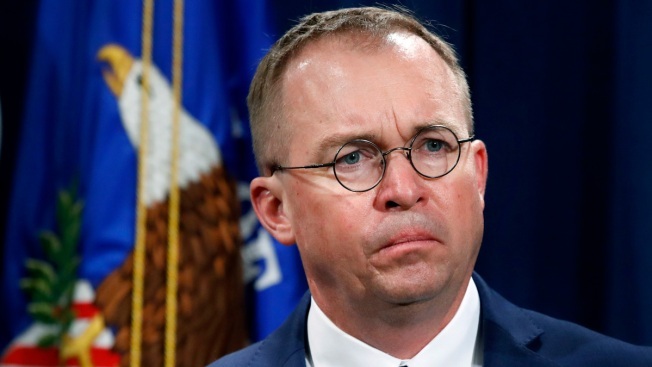 In this July 11, 2018, file photo Mick Mulvaney, acting director of the Consumer Financial Protection Bureau (CFPB), and Director of the Office of Management, listens during a news conference at the Department of Justice in Washington. 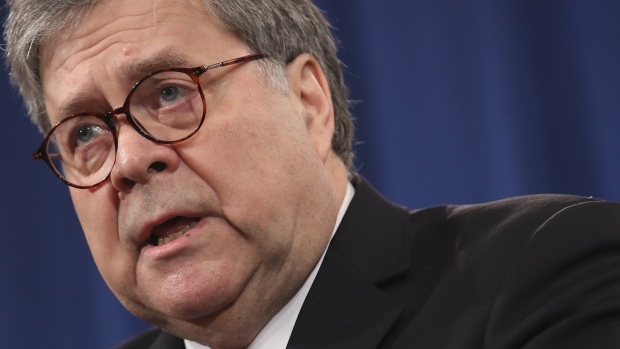 White House chief of staff Mulvaney said in an interview with "Fox News Sunday" Democrats will "never" see President Donald Trump's tax returns. Mulvaney says Democrats just want "attention" and are engaging in a "political stunt" after the chairman of the House Ways and Means Committee, Rep. Richard Neal, asked the IRS to provide six years of Trump's personal tax returns and the returns for some of his businesses.